Picture postcard showing Brother Robert Valentine working at a corn cutting machine. Shaker Museum | Mount Lebanon 1950.4154.81. Shakers who were appointed as trustees for the Society were empowered to conduct business transactions such as the sale and purchase of goods and real estate. Some were more gifted in this work than others. Shakers who were appointed as trustees for the Society were empowered to conduct business transactions such as the sale and purchase of goods and real estate. Some were more gifted in this work than others. Elder Richard Bushnell, of Mount Lebanon’s North Family, kept that family’s finances so carefully that his successor Elder Frederick W. Evans had the means to build the Great Stone Barn in 1859. Sister Emma J. Neale of the Church Family, Mount Lebanon, established an enormously successful cloak workshop and as a trustee helped the Church Family recover from poor financial decisions made by some of her predecessors. One of those unavailing predecessors was Brother Robert Valentine, whose real estate dealings in 1895 and 1896 caused him to be jailed in 1901. Portrait of Brother Robert Valentine. Shaker Museum | Mount Lebanon 1959.11261.1. 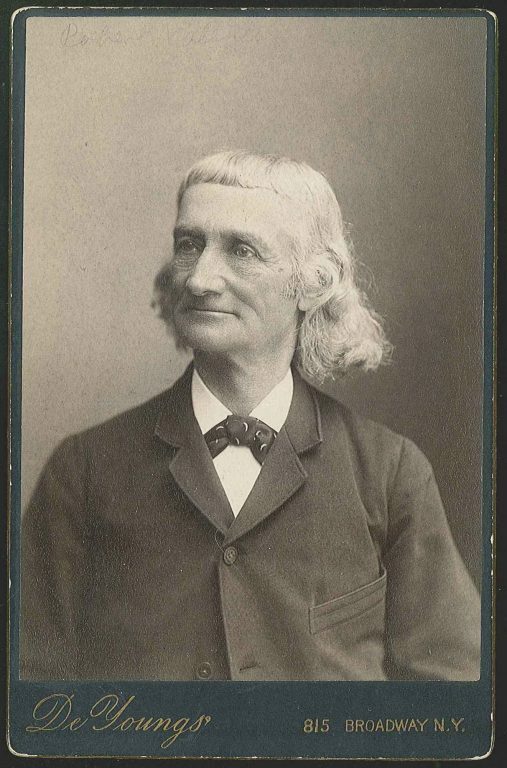 Brother Robert was born in Brooklyn, NY in 1822, and came to live with the Shakers at Mount Lebanon at the age of 9. He may have been a natural relative of the Van Houten twins, Phoebe and Catherine, who were Church Family Shakers, but this has not been verified. By 1835, he was living at the Second Order of the Church Family (known as the Center Family), where he served as a deacon from 1845 until 1872. 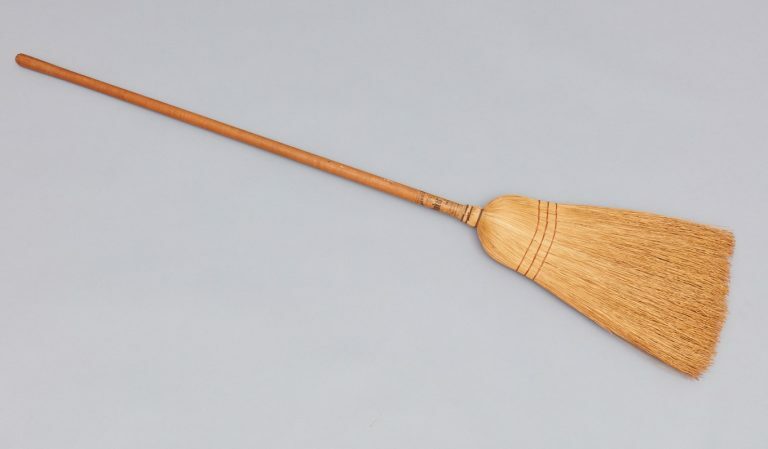 He managed farms owned by the Shakers, and had charge of the broom business; the Shaker Museum has two brooms in the collection bearing the label of Robert Valentine. Broom with label of Robert Valentine, Mount Lebanon Shakers, NY. Shaker Museum | Mount Lebanon 1957.8578.1. In any case, after only two months, he was dispossessed of the properties due to failure to pay the rents, and had purchased goods and services for the properties which he did not pay for. One of the latter was a debt to the Graves Elevator Company for $3,000 for the installation of an elevator. The company attempted to sue the Shaker Society to recoup the money, on the grounds that the covenant signed by Believers rendered the Society, and not its individual members, responsible for debts incurred. The company lost its suit and an appeal. In May of 1901, a business owner named August Ludemann sued Brother Robert for the return of $2,000 he’d paid for a lease on one of the properties. Brother Robert lost the suit, and was ordered to make restitution. Perhaps he failed to do so, or perhaps there were other acts of malfeasance, for he was jailed in New York City. 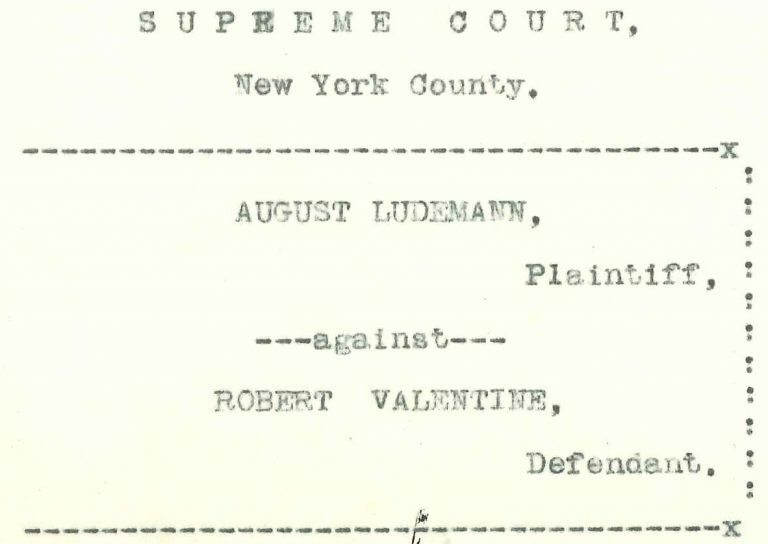 Cover page of transcript of the trial of Brother Robert Valentine, 1901. Shaker Museum | Mount Lebanon 1957.9740.1. Brother Robert’s life appears to have been uneventful after his return. Brother Timothy Rayson’s journal records that he made many trips to Pittsfield. The purpose of these trips is unspecified, but it is hard to imagine he continued to be entrusted with conducting the Shakers’ business, even the sale of their goods. 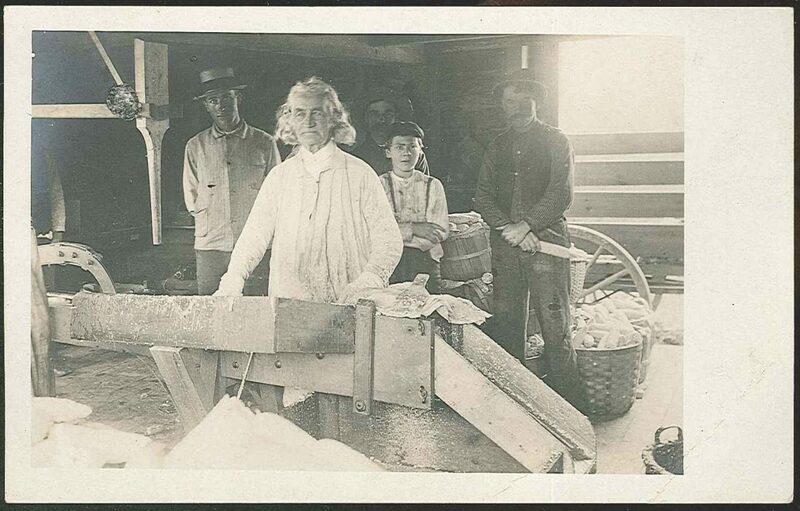 Brother Robert was photographed operating a corn cutting machine early in the 20th century; the image was printed on a postcard that was mailed to Henry Clough and his family in 1907. They were called to live a life of law and order to the Almighty, yet they were only human, still of the flesh. I appreciate this wonderful scholarship. I read it as a vignette of The Believer’s constant aspirations to balance lofty goals amidst human frailties, just as we all do with our own lives.